If you have been reading the papers, blogs and all things Ranger like I have this morning, perhaps you're wearing the same silly grin I am right now. As we welcome a new coach (Welcome Torts!!! ), the locker room and practices have already started their overhaul. "Stay the F*ck off the Logo!!!" The policy now enforced in the locker room by Jim Ramsey. (As reported by Jane McManus over at The Rangers Report). Supposedly Tortorella is a stickler for this tradition that was loosely adhered to during Renney's tenure here. It appeared that Renney was a busy man. Far too busy to worry about such things as his ship was sinking. In my opinion, that was exactly the problem. The basics were never instilled, drilled and enforced... and their presence or better yet, their Omnipresence was taken for granted by a coach that jumped the gun in assuming he had collection of interchangable parts that could be arranged at his whim and that he would be the catalyst that caused them all to click one day and fire on all cylinders. As a notorious recent Renney detractor, I will say nothing frustrated me more than that egotistical assumption and him turning a blind eye as the flaws became obvious in his plans; Instead making a practice of slapping a line change band-aid over a gaping wound. I will say that I don't wish the guy any ill will and would have actually felt bad for his removal if I genuinely felt he pushed a bunch of players hard and they all got together whined to the GM and had him canned. I can't say that thought and as it became apparent that his lack of a sense or urgency, but gentlemanly and politically correct demeanor bled down to the team and turned the post game locker room into a confused goalie and a bunch of talking heads. Benoit Allaire also remains and only time will tell if it was he or Renneys passive game that had Henrik backed so far into the net all this time that he's given colonoscopy nightmares to the guys that work the net cam. Over the past couple of seasons, at the games I attended vs. the Bolts... It almost became a tradition to wait for the announcement: "John Tortarella has been ejected from the game..." and join in on the laughter and clapping. Even back then, as we reveled in his frustration, you had to respect the guy for his passion and his defiance toward take things lying down. 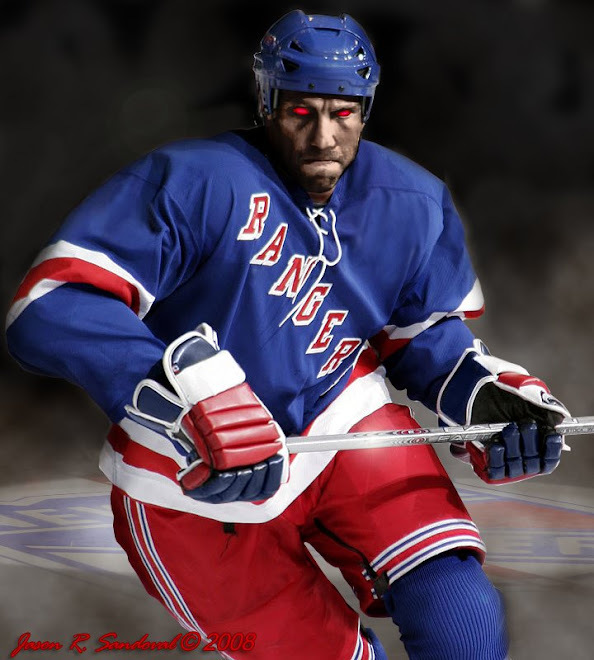 As a Ranger fan, I'd take an ejection for tearing a ref a new one, over a quiet scribble in a note pad and a frown. 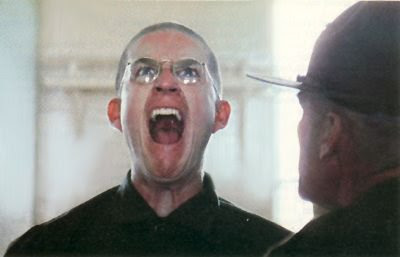 I WANNA SEE A WAR FACE!!! Did you know we have a game tomorrow? I found out after the coaching change and have been excited ever since....LETS GO RANGERS! I'll be in Toronto, the ACC, sitting three rows behind the Leafs bench wearing a blue home Lundqvist jersey, surrounded by polite Ontarian suits -- look for the guy that reminds you of that NHL commercial where the guy in the hospital bangs on the glass to identify his Awesome Baby... that will be me - The Dark Ranger revealed. Everyone seems to think this Torts action is a great signing...I wonder how Wade Redden feels. Aves is probably destined to continue his tenure in the AHL...I cannot imagine Torts would want someone on the team with his temperament. Surprisingly Dark, I thought the same thing but in his latest comment...We may find the divide between Aves and Torts may not be as great as we think.